Now here is something you don’t see every day, This VW was customised in the early 90’s to pay homage to the classic speed boats of the 1960’s!! Really retro 80’s vibes inside with dark mahogany style wood on the ceiling and sides, this really must be a one of a kind! I can guarantee, if you take this to a VW show or any other classic car show for that matter, you will not see another one like this!! Seats 5 comfortable with the upgraded 2 front leather seats and matching rear leather sofa seats. It benefits from Double Din CD player with built in reverse camera and Air conditioning!! Which no doubt would have been handy in last summer’s heat wave!! It has the original 1600cc engine which runs like a dream and has recently completed a 450 mile journey without any issues!! It has various storage compartments, Large space under the front seats and rear seats also. Recently repainted in Gun metal grey, which really makes it stand out in the crowd. Upgraded 14 inch alloy wheels with plenty of tread left. Really cool vintage roof rack included. 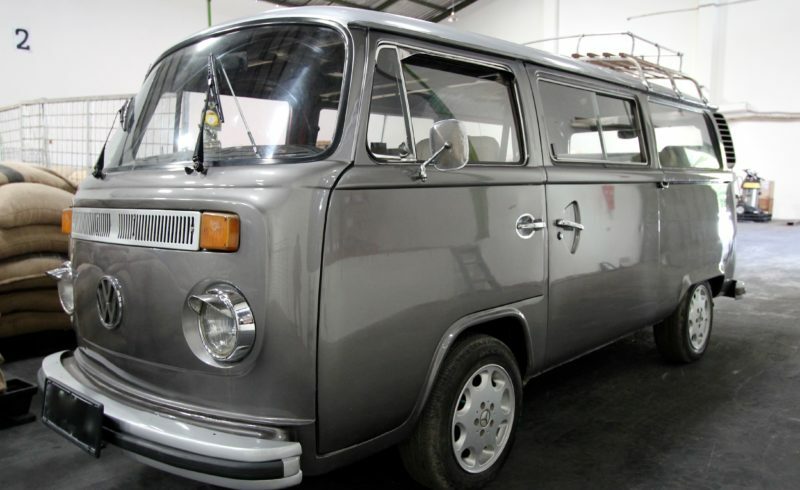 Recently imported from the southern Hemisphere, so no rust underneath like many of the UK vans. Any test welcome, UK wide delivery available.